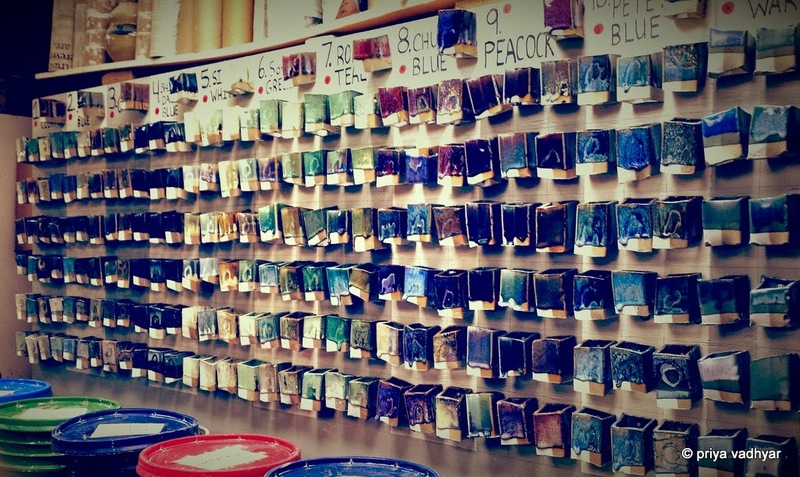 Columbia Art Center (CAC), where I have been volunteering for the last ten months, offers a number of ceramics classes. 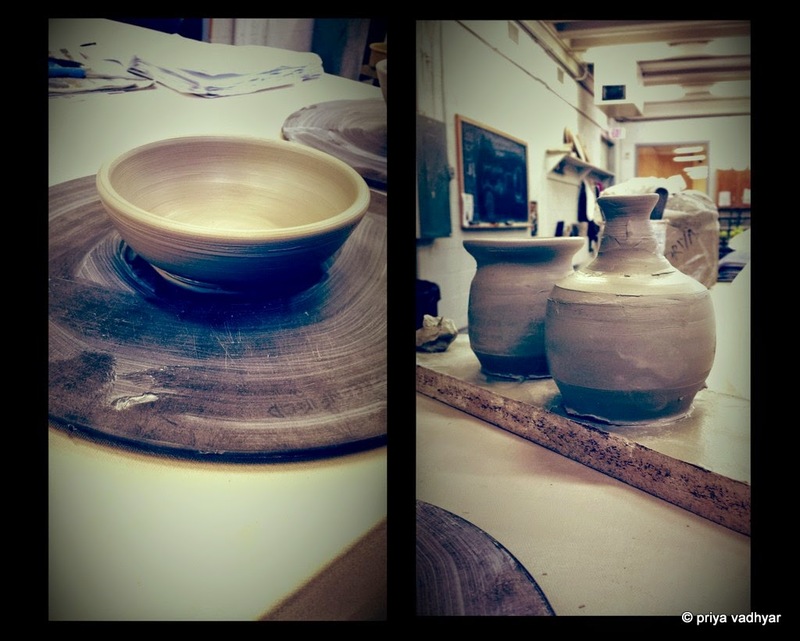 These classes range from beginner to advanced levels, and are taught by experienced ceramic artists. The ceramics studio is huge. 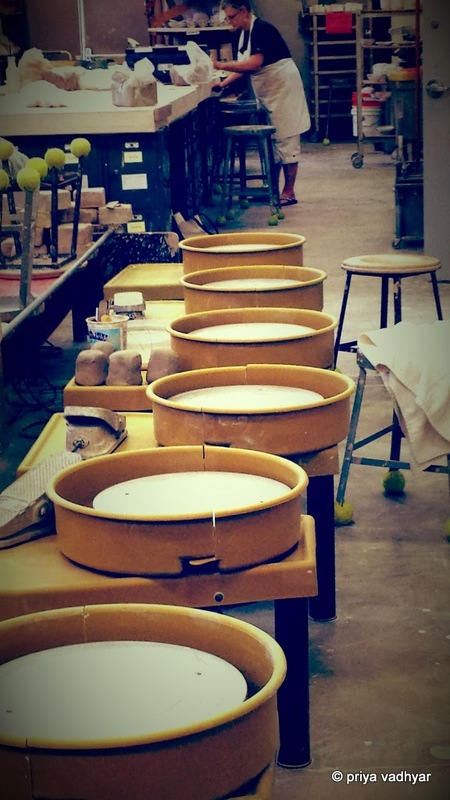 It has a line of potter's wheels, a glazing room, kilns - the works (see images below). 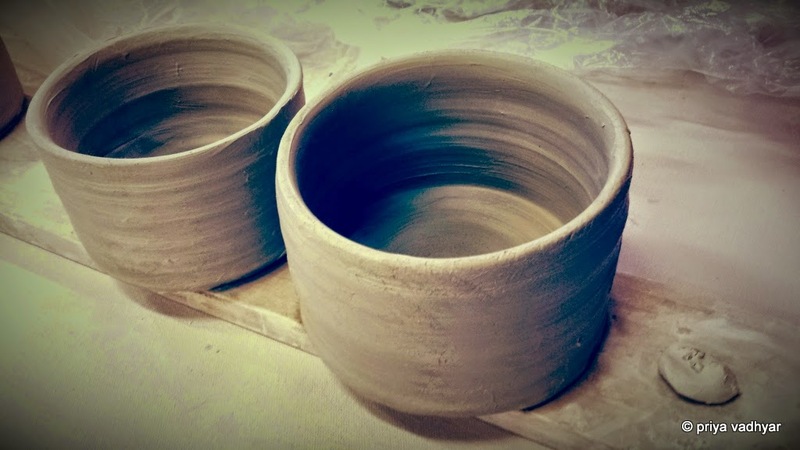 Since ceramics has always held my attention, I decided to take the introduction to wheel throwing class. My teacher for this class is Donna Lansman. I have enjoyed learning a new skill with Donna, who is a fun person to work with and a teacher with immense patience. For the last six weeks she has been teaching my class the language of clay. We have learned to wedge, center, pull and collar, and make a host of things. I have made bowls and cylinders, vases, sealed jars and other objects. Working on the wheel is fun. To watch the block of clay emerge as a form is mesmerising. Nothing short of magical. But learning to work with clay has also meant that many pieces have fallen apart along the way. 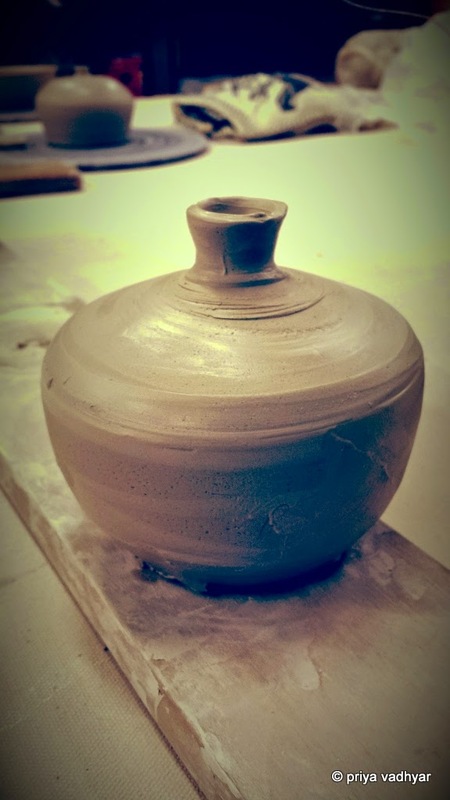 Sometimes I went in too deep, sometimes uneven pressure while pulling up the clay created thin spots. At times the clay was not centered, which made the piece lopsided and unstable. 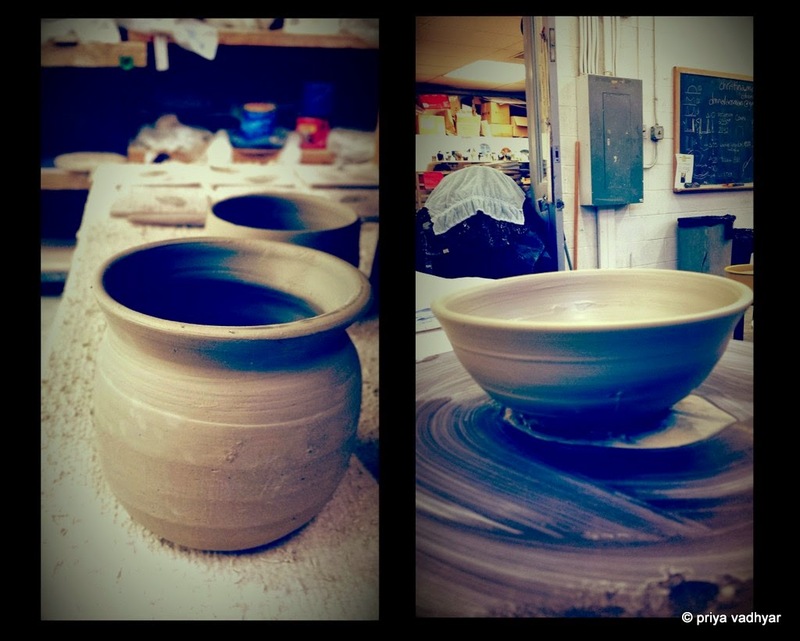 I am sure that with time, patience and lots of practice the pots and bowls I make will be centered, strong and even. For now here are a few bowls and pots I made. Soon these pieces will be glazed. Then they will be off to the kiln for firing. Stay tuned for the final output.